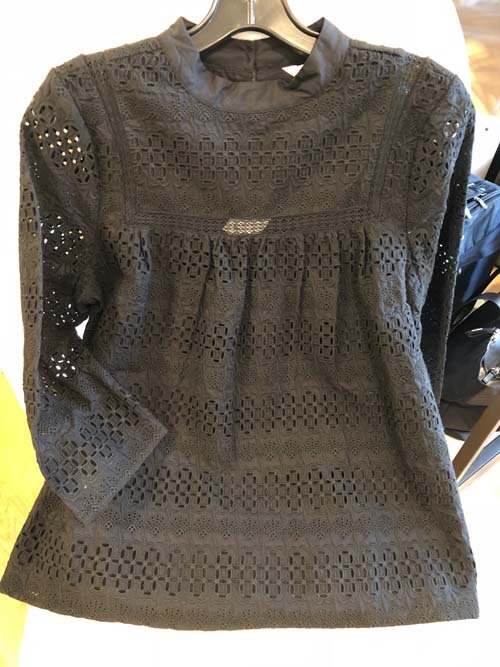 Saybrook Home’s clothing buyer, Donna Urso, has been curating the collections since the Apparel Shop opened 12 years ago. 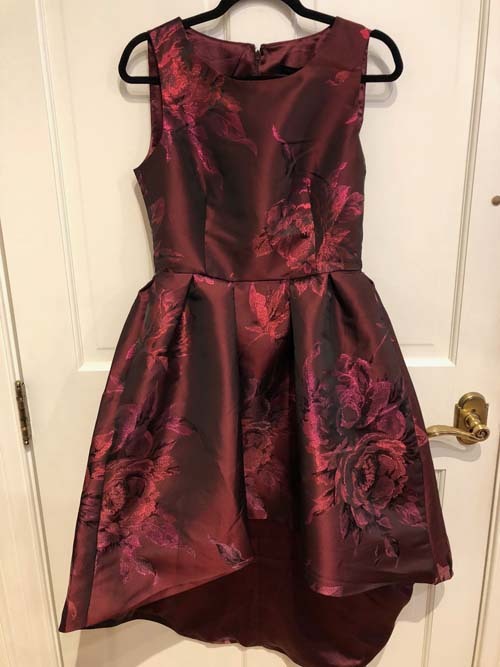 She’s developed a steady clientele of those-in-the-know who make seasonal appointments to update their wardrobes; just imagine having your own personal fashion stylist (you can, too, just give her a buzz!). 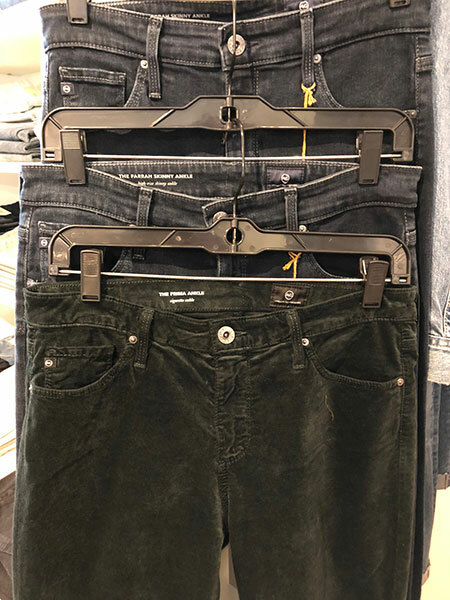 She’s spent her entire career in the biz and her well-trained eye keeps the shop full of an exciting edit of fashion, basics, and denim; yup, pretty much everything you need in your closet right now. I stopped in and put together my own shopping list of must-haves for fall and the holiday season. 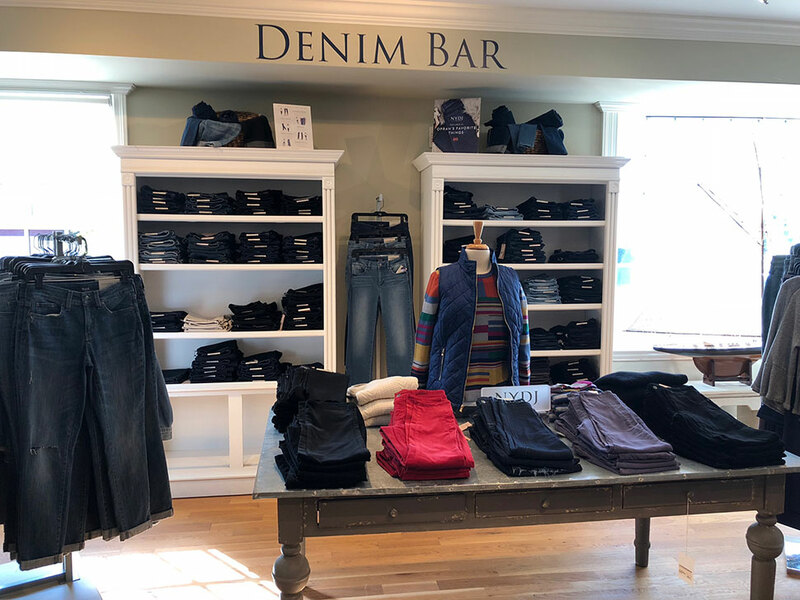 First stop, the Denim Bar with an in-depth selection from the likes of NYDJ (with their genius Nip & Tuck technology) and AG Jeans (a bit more fashion forward). Both collections suit a variety of shapes and sizes. The stretchy fringe hem NYDJ and a deep, dark green (an on-trend color this season and my new favorite!) ankle-length velvet version are on my list. 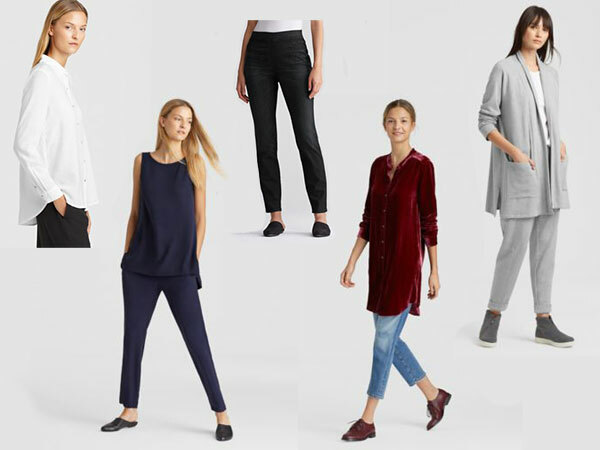 Next up, I browsed the bountiful racks of Eileen Fisher. I run hot and cool with Eileen, but this season she’s nailed it with the absolutely perfect white, drapey oversized shirt (little details like the sweet collar and pleated back make the difference here), the organic pull-on stretch black jeans with a waxy finish to give an almost leather-like feel, and a few easy dressed up shells in either silk georgette or silk charmeuse (those high armholes matter!) to pop on under a blazer or for an evening out. It’s easy to wrap yourself up in this cozy kimono cardigan for runs to yoga or the grocery store. 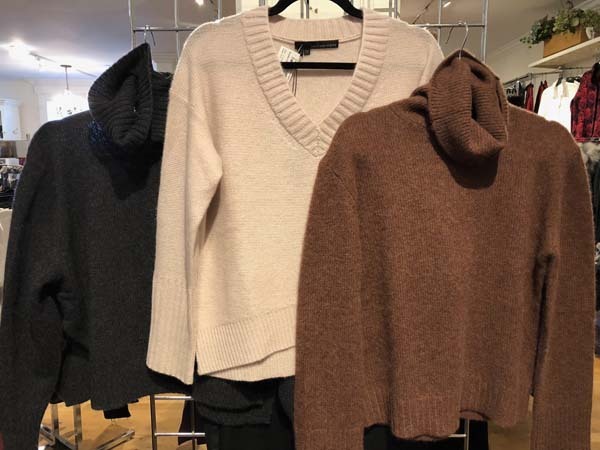 It’s finally sweater season, and I was oohing and aaahing over 360 Cashmere’s collection. This is the real deal, with the softest hand and a knit that’s not too heavy so you can layer these up. It’s all about turtlenecks this year and this rusty one would go well with my dark green jeans (above), finally getting me out of my black and gray uniform! You’ve probably seen all the fuzzy coats and faux fur everywhere; it’s a big trend and a welcome one because NOTHING is warmer or cozier. 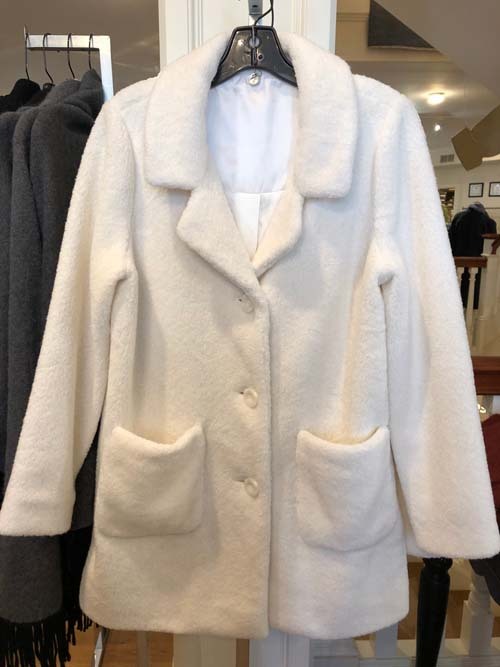 I spied the perfect version here from Margaret O’Leary (at $395) but there’s a rack-full of fun fur jackets that start at $129, too. 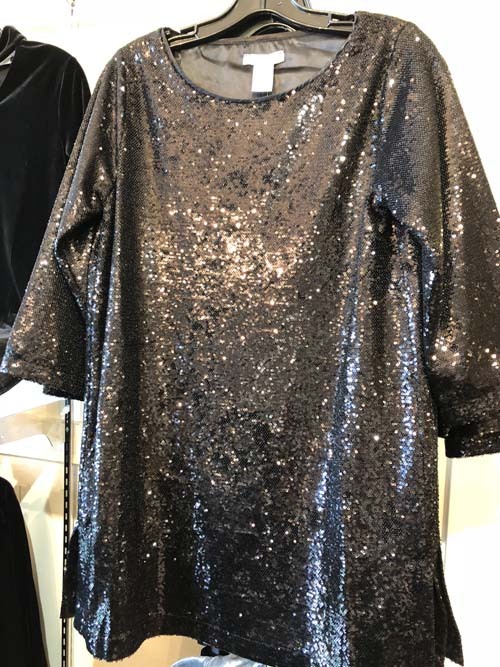 For Holiday parties, I’m usually the dressy-blouse-with-fancy-trouser girl, and there’s plenty of options, from this adorable button-back black eyelet blouse to a sequined 3/4 sleeve tunic, plus you’ll find a selection of party dresses, too. 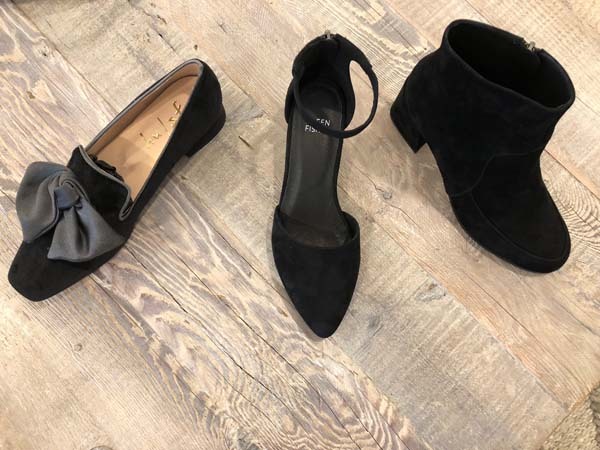 Let’s not forget shoes, and I was all over this bow flat ($215), Eileen Fisher suede bootie ($258), and low-heeled ankle strap to dress up or down ($189). Talk about a perfect shoe wardrobe. 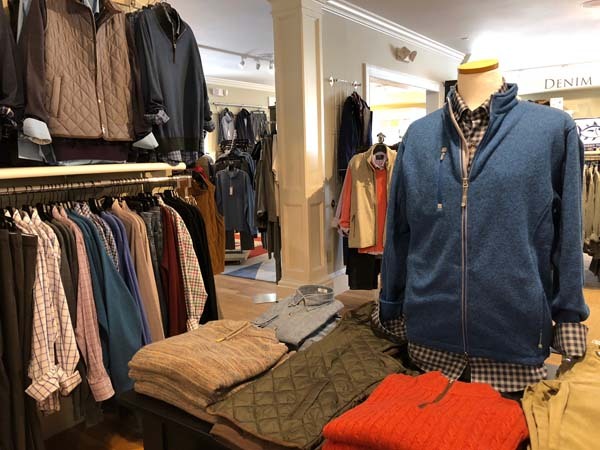 Men’s shops these days are few and far between, but the guys are far from ignored in The Apparel Shop with plenty of cashmere sweaters, quilted vests, plaid shirts, trousers, and jeans from the likes of Tommy Bahama, Vineyard Vines, Bill’s Khakis and Robert Graham. 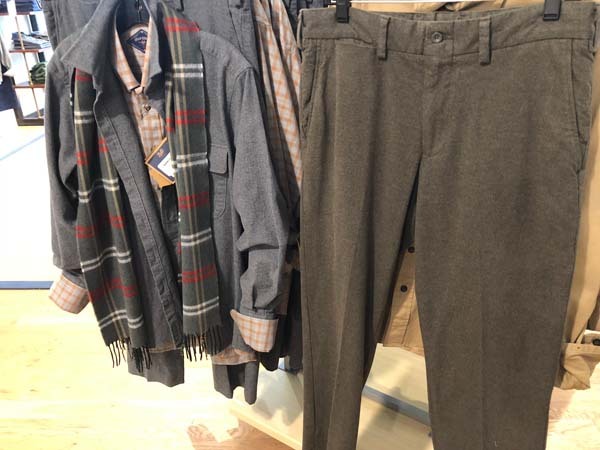 Those hefty stretch moleskin trousers and work shirts from Bill’s should be available for women, too; the fabric is a perfect winter weight. My husband will LOVE them. 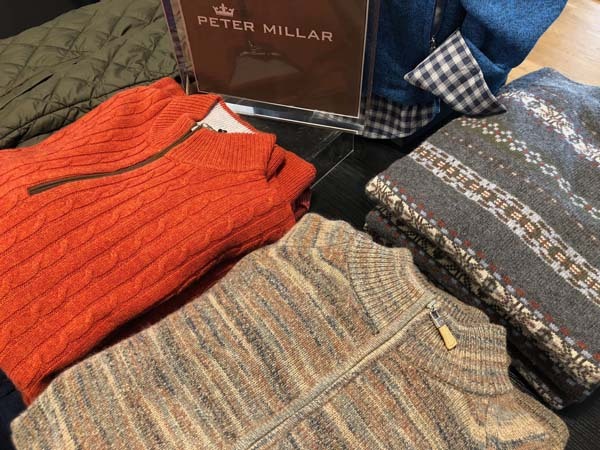 The stunning Peter Millar collection is exactly what you wish your guy would wear, especially these space-dyed and intarsia cashmere-blend sweaters. 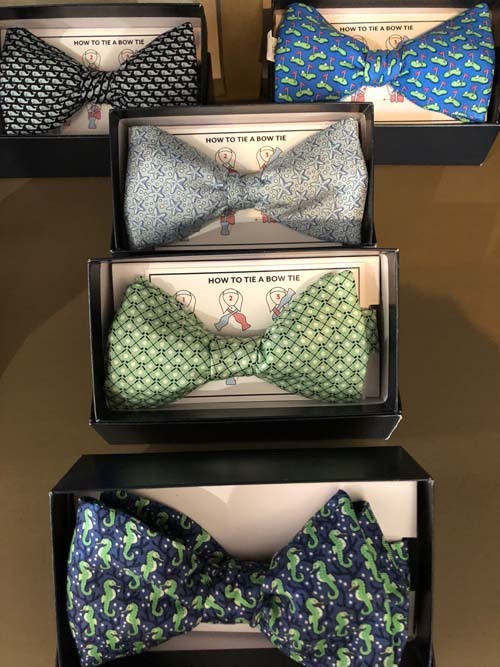 They’re great for gifting, as are these adorable bow-ties which come with tying instructions (always a good idea). 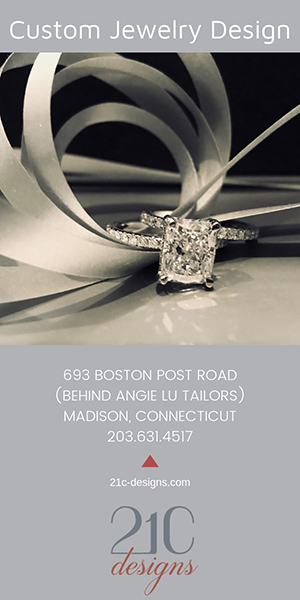 Call 860-388-0891 to make an appointment. 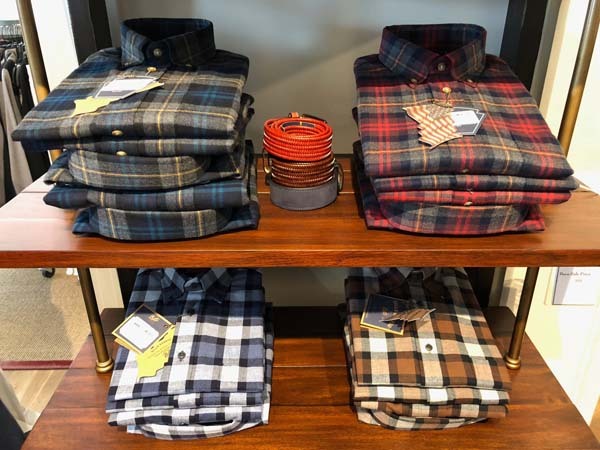 Win a $250 Shopping Spree at Saybrook Home! Click here to enter (enter by November 15, 2018 at 5:00 PM).